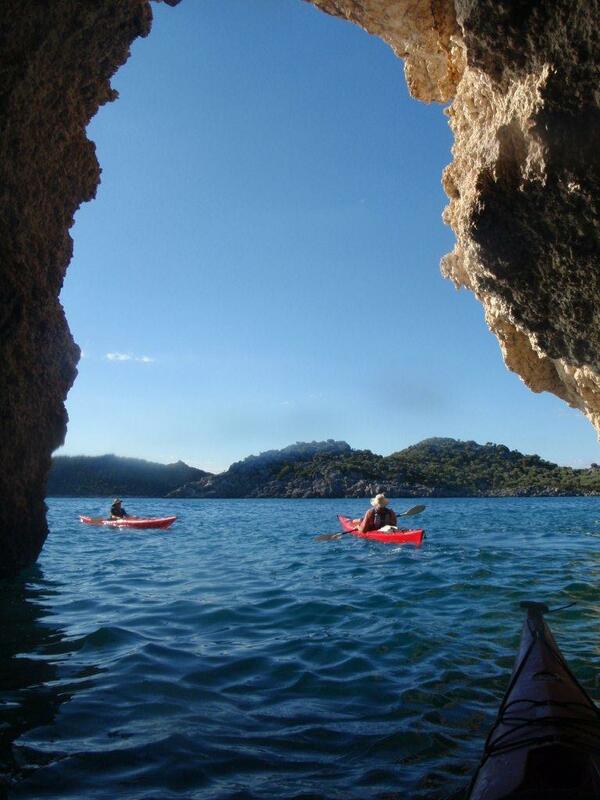 Location: This was the fourth trip to SW Turkey based in the general Dalaman Area. 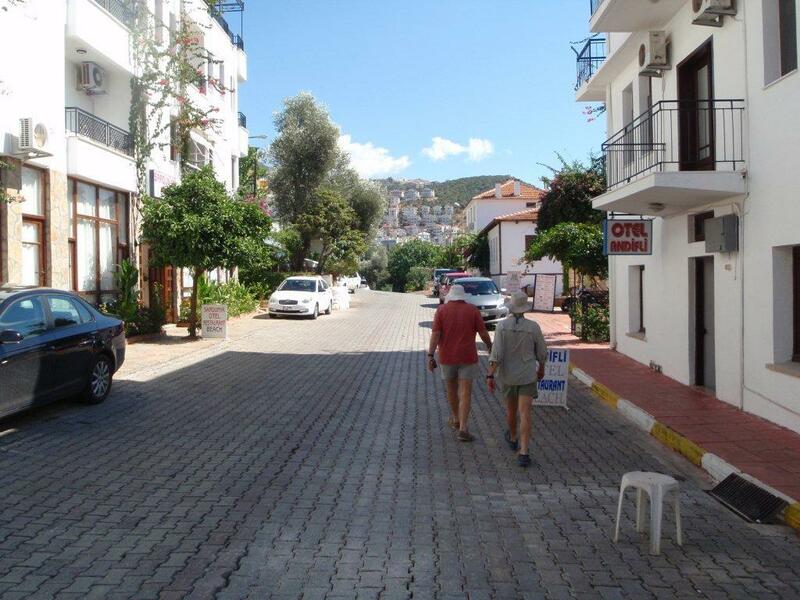 As might be expected this was the furthest from the airport and the base of our provider in Fethiye. 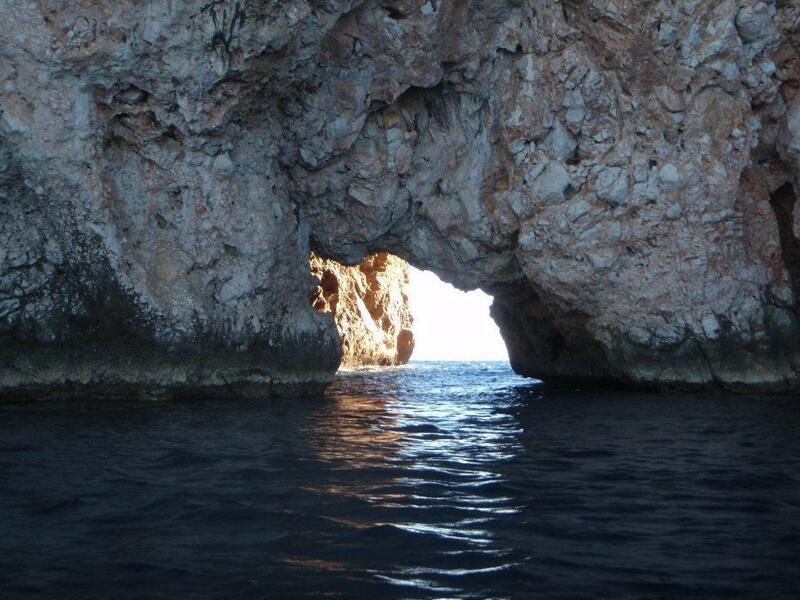 To cover the best marine scenery the trip was in two, three day sections with a vehicle transfer between. 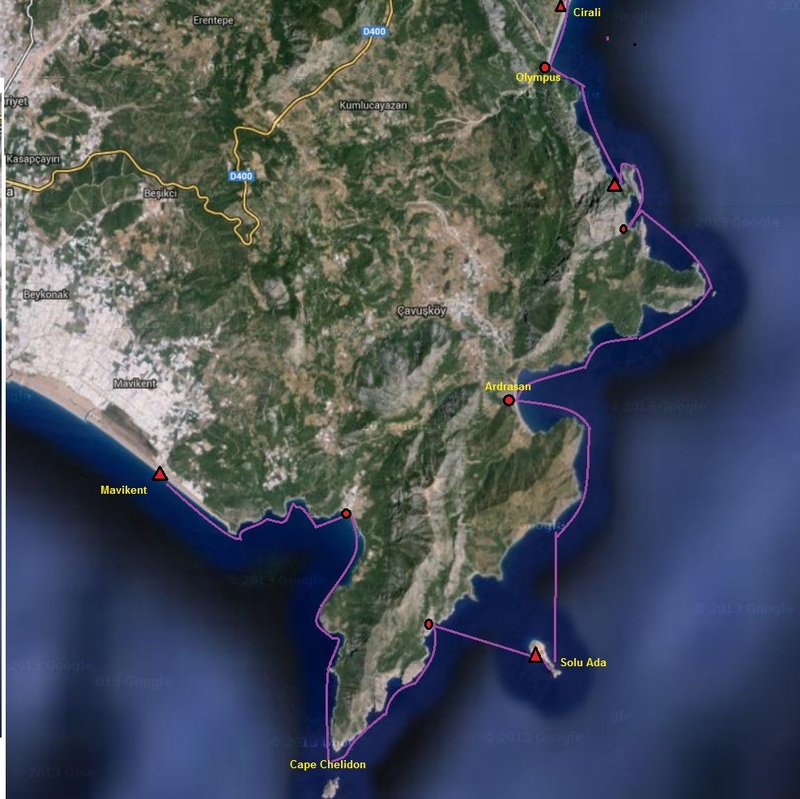 It could be done as a single trip with a 25nm slog along an uninteresting coastline but the loss of the first day due to wind, ruled that out. 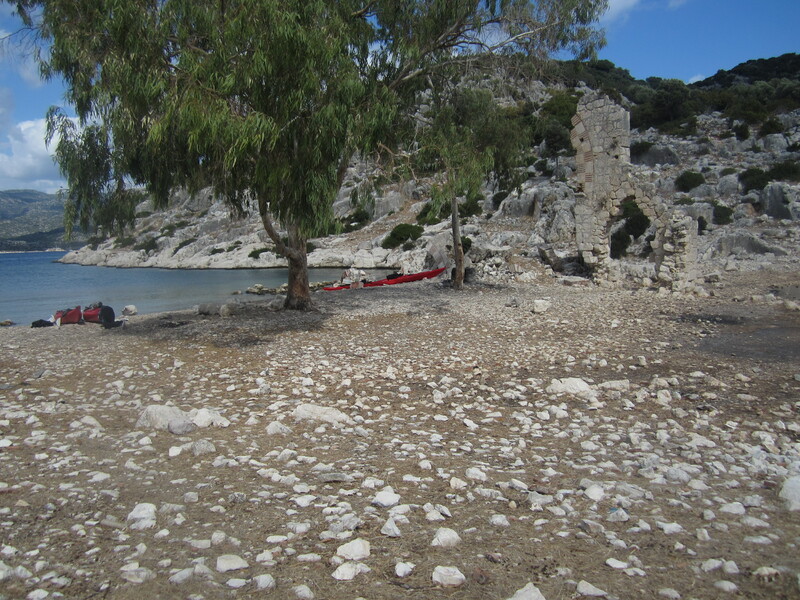 Part A: Kas to Sulkulu Beach, near Demre. 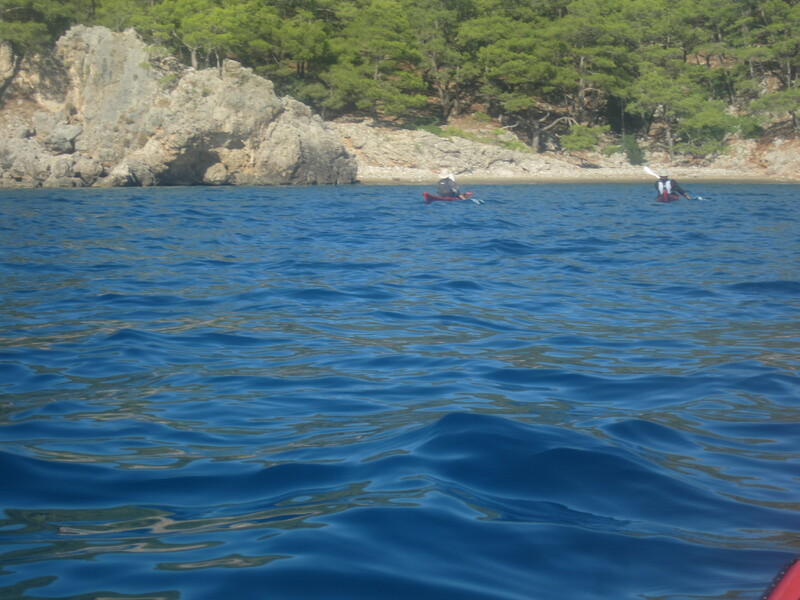 We arrived in Turkey just before 10pm and were transported, with kayaks and equipment to the holiday resort of Kas and our overnight Pension. The accommodation was chosen because it apparently had direct access to the sea from their “Beach”. 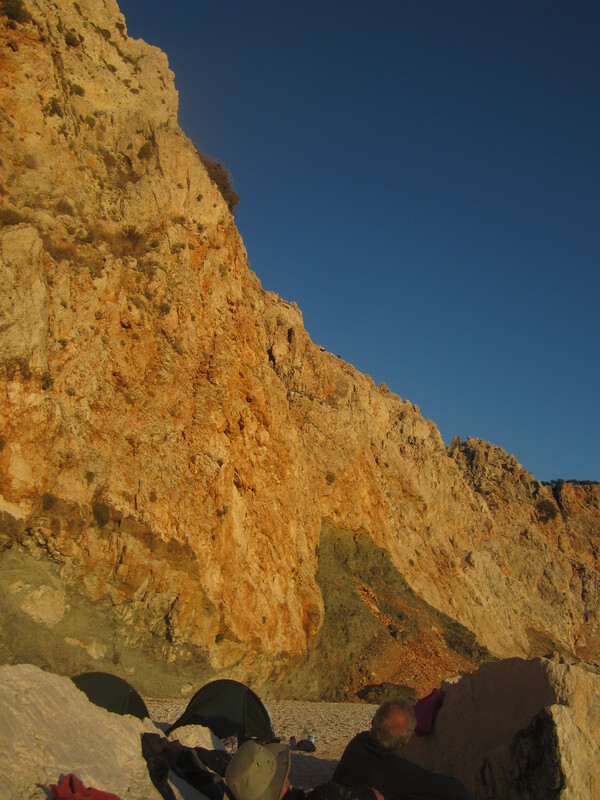 In fact the beach constituted of small concrete sunbathing platforms with a set of steps for entry/exiting the sea. There was no alternative; kayaks are not allowed to use the slip in the little harbour in the centre of town even if we could have got the kayaks there. A large storm had hit the area over the previous three days generating a large swell. In addition the wind forecast for the first day threatened Force 7 winds . Kayaking was obviously impossible so we spent the day wandering in the town and doing touristy things like visiting a water cistern dated around 600BC and the Roman Ampitheatre seating 12,000. After a pleasant if frustrating day, the Friday opened slightly overcast but with much lighter winds. We loaded the kayaks and manipulated them down the platforms to the water edge. 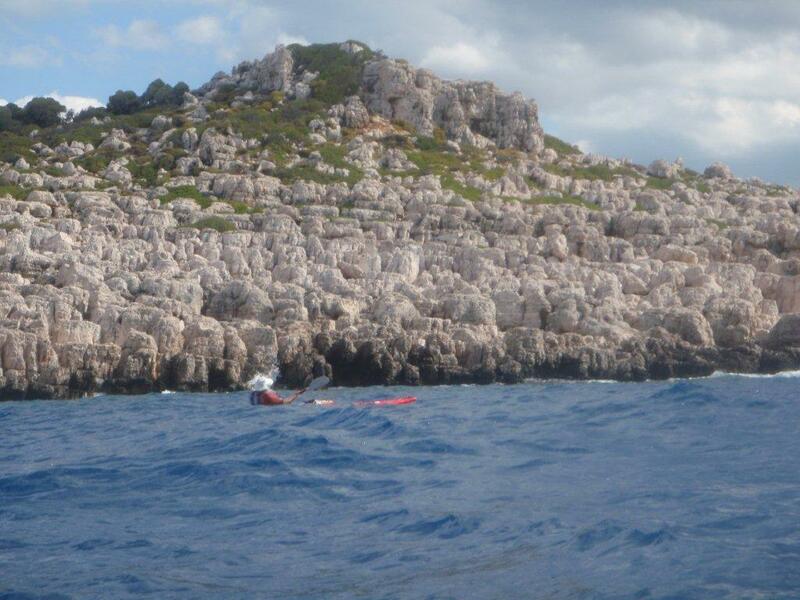 By strategically locating one paddler (Geoff) in the sea we managed to lower the boat into the swell whereupon it landed on a jaggedy rock. When kicked off the rock it decided that upside down was more stable. It was righted half full of water and the paddler (Geoff) got in and started pumping, whereupon the pump came apart. Apparently two hands were required for the pump leaving none for the paddle or simply hanging on. The second kayak was lowered for support and using this it was just possible to pump enough out to stop the first kayak from sinking. The third kayak was lowered and the other two paddlers got in. 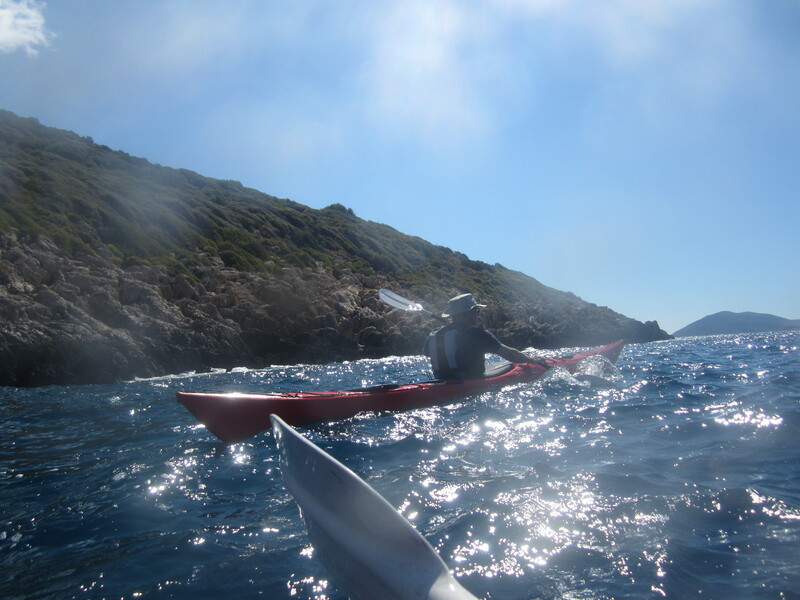 After more frantic paddling spray decks were fitted and we were away. Clear of the shore there was further pumping and then we were truly away on the following route. 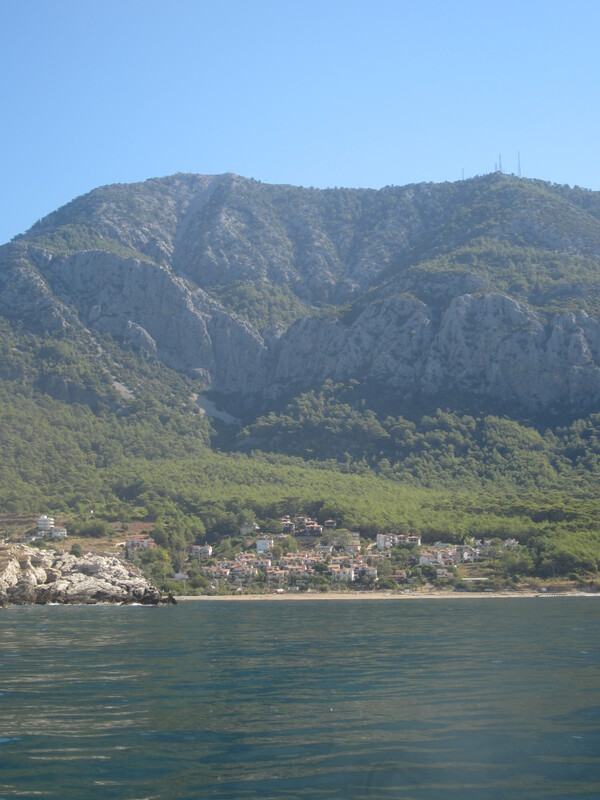 The coastal scenery in this part of Turkey is superb. 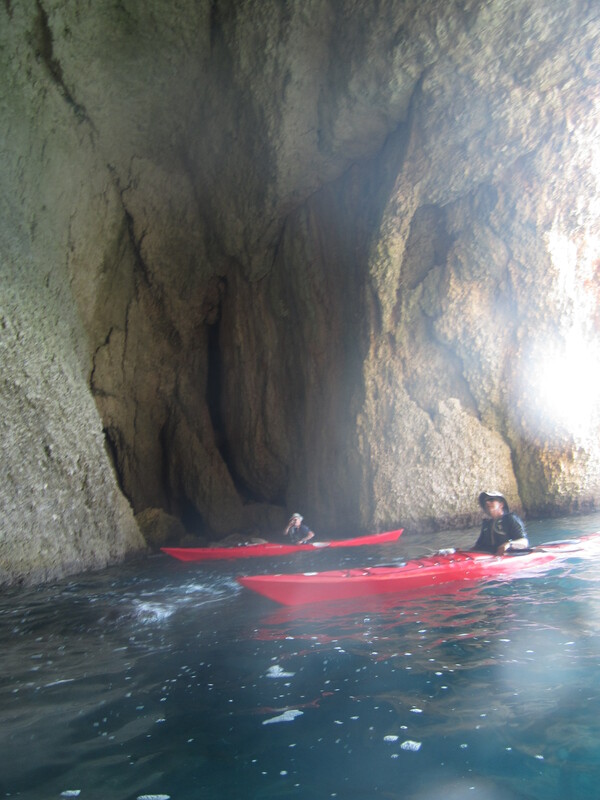 Broken limestone cliffs are peppered with deep sea caves and the water is a perfectly clear turquoise blue. The sun was shining and the brisk breeze and 4ft swell added interest. Landing places were very rare. The lunch break was typical of unfinished tourist based schemes that litter the coastline. 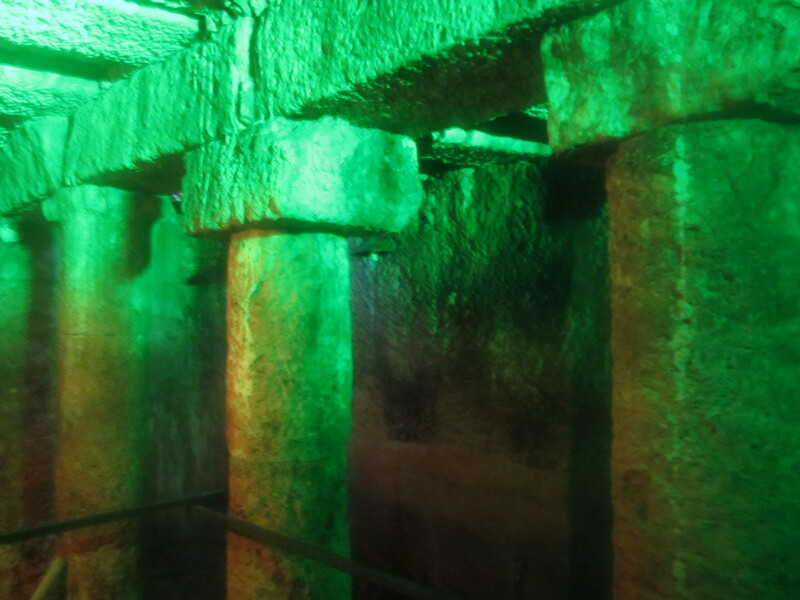 Our destination for the evening was the ancient city of Apelie. A typically amazing ruin, the city was founded in the Lycian era (c 600BC) and became very rich on the basis of a shellfish that provide the dye for the imperial purple of the Roman Emperors. The area includes huge city walls, mausoleums and a sunken harbour; uninvestigated and likely to remain so. 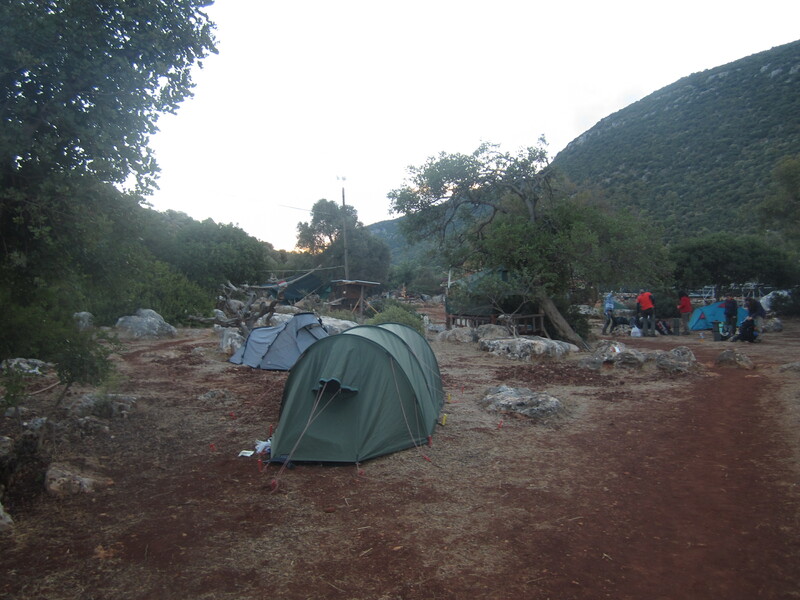 We camped, without charge, in the campsite known as The Purple House. This also provided beer (which we utilised), meals and accommodation. 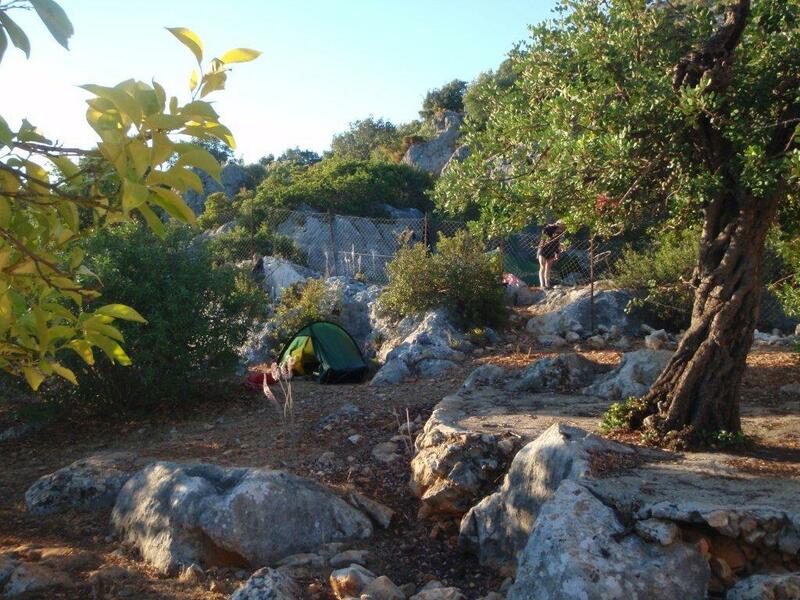 We were surprised to find fairly large numbers walking the Lycian Way long distance footpath, which passes through Apelie. 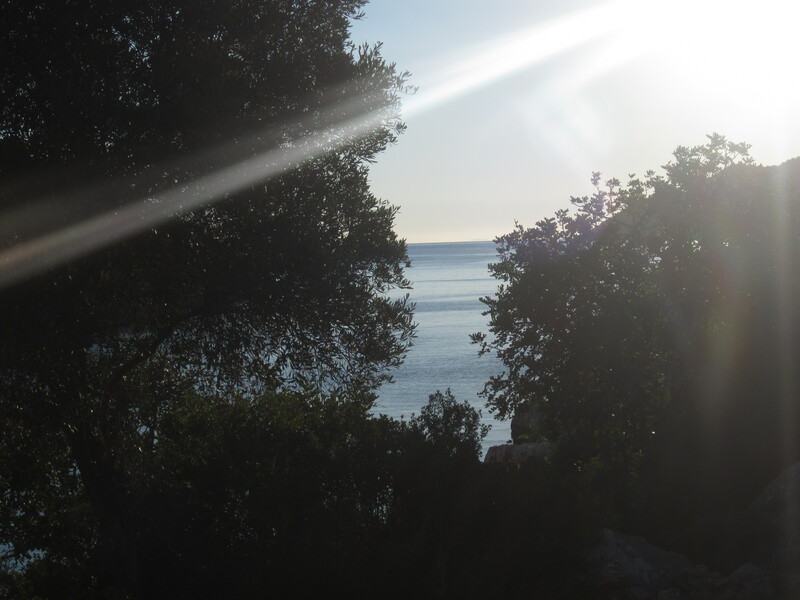 Our target for Day 2 was the region known as Kekova. 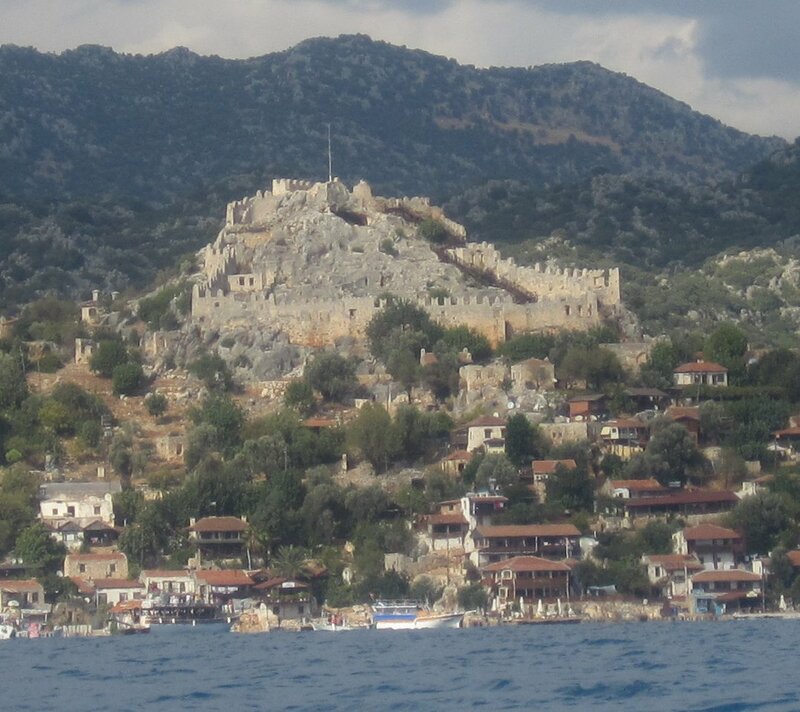 This has become something of a tourist magnet with ancient ruins, a sunken city and a Byzantine Castle a pleasant boat trip from the east. 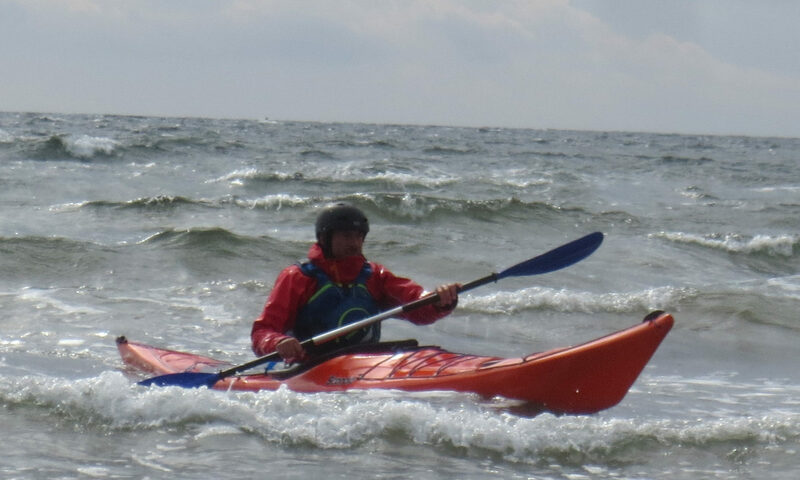 Before we could experience the calm waters behind the isalnd we had to endure a stiff paddle into a force 3/4 wind and a rising swell. We eventually reached a small island with a rough landing, the first of the day. Typically it had a number of ancient ruins scattered over the hillside. 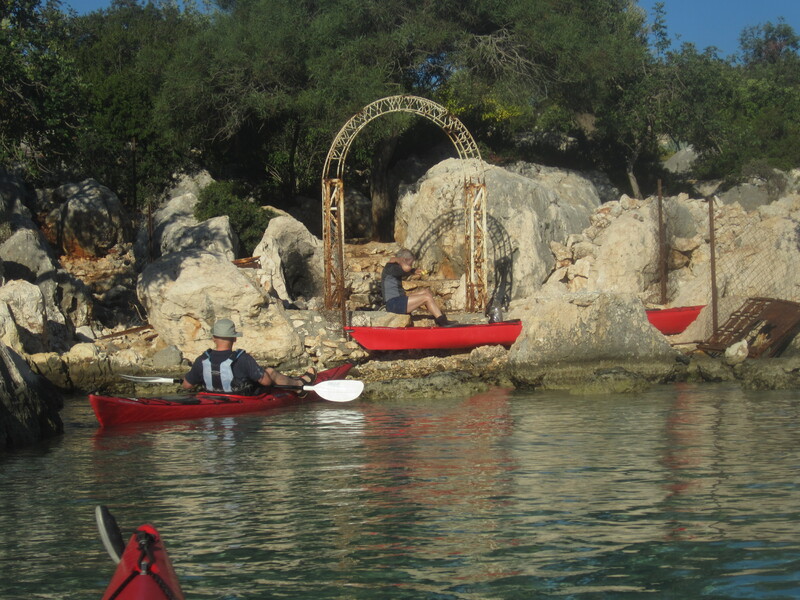 The main selling point of Kekova is the “submerged city” and amongst the hundreds of motor vessels a number of commercial firms offer kayak trips to beginners that go over the site. Our experience was disappointing. Although the water was clear it was disturbed by the wind and reflected the strong sunlight. As a result we saw little and had to queue (!!) with the motor boats. 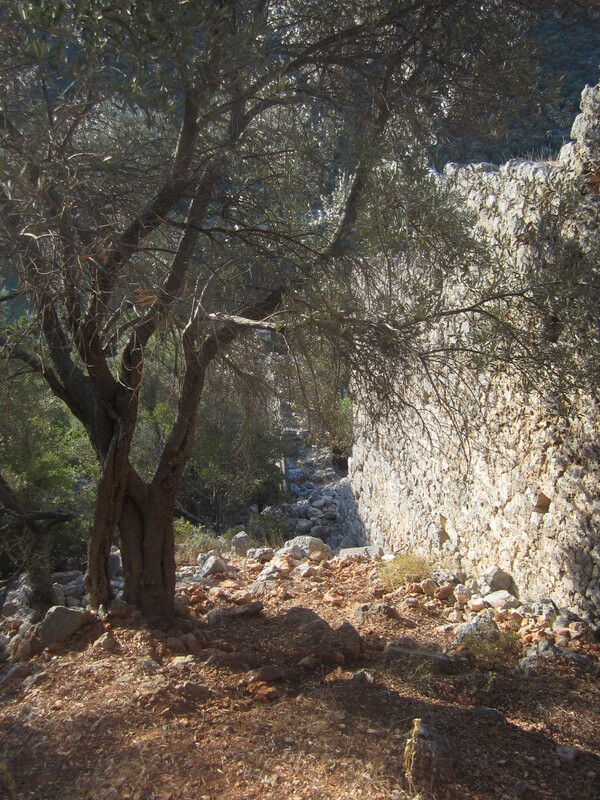 Far more impressive was the Byzantine fort in the village opposite. 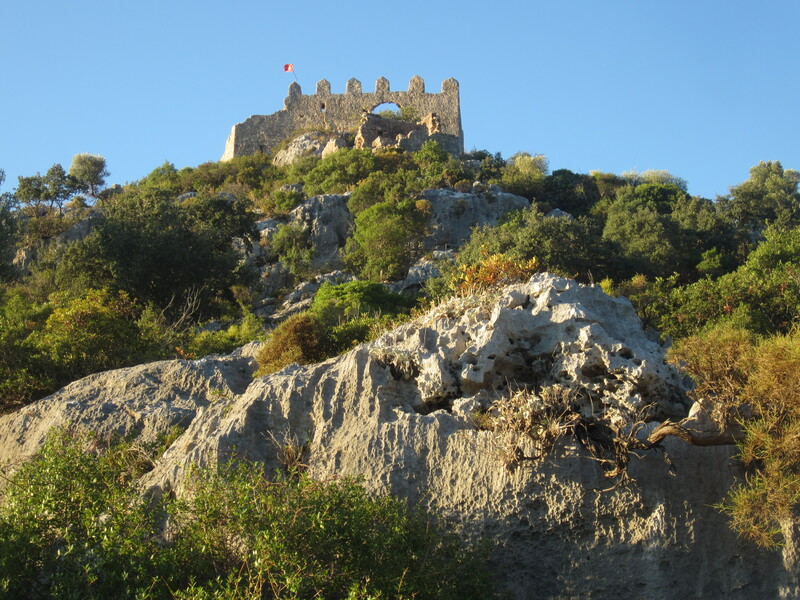 Our access involved pushing through deep undergrowth, climbing the wall of an outlying tower, walking through a garden marked “Strictly Private” and “Dangerous Dog” and scaling a wall to get out, The fort itself was an amazing tribute to the absence of Health and Safety Inspectors in Turkey. The village of Simena (Kale) is a landlocked maze, with tiny alleys connecting a motley connection of buildings. It is a wonderful place but time was pressing. 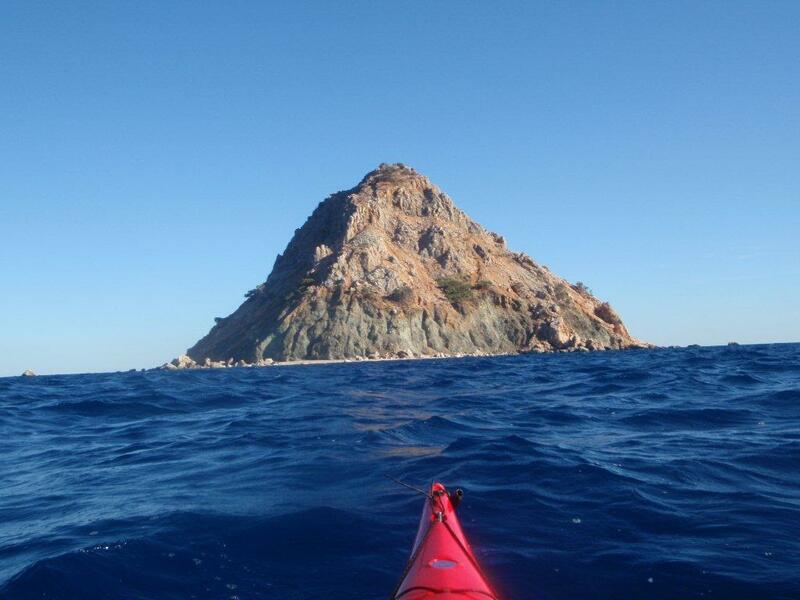 From Simena we paddled on east looking for potential landing/camping sites. 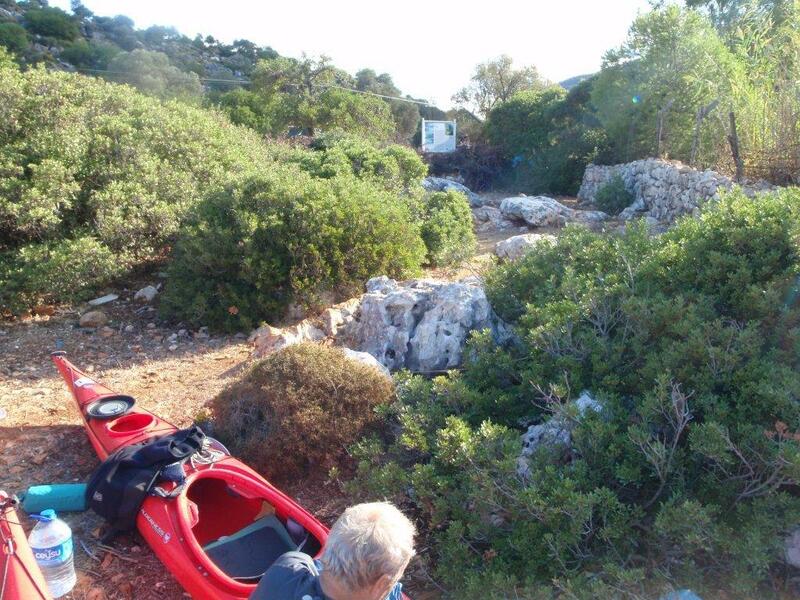 Eventually we found a small beach with an ornate gate leading to a ruined farm. This provided level, if stony pitches and wood for a fire. Typically just above the farm was a ruined castle. Our progress had been good and Day 3 was asssumed to be a more gentle affair. 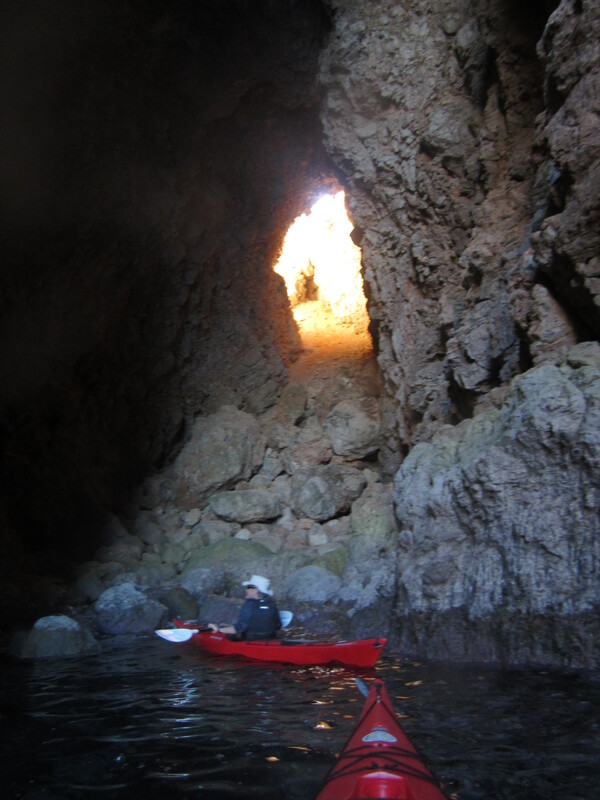 As ever there were a selection of caves to visit and some wonderful cliff scenery. 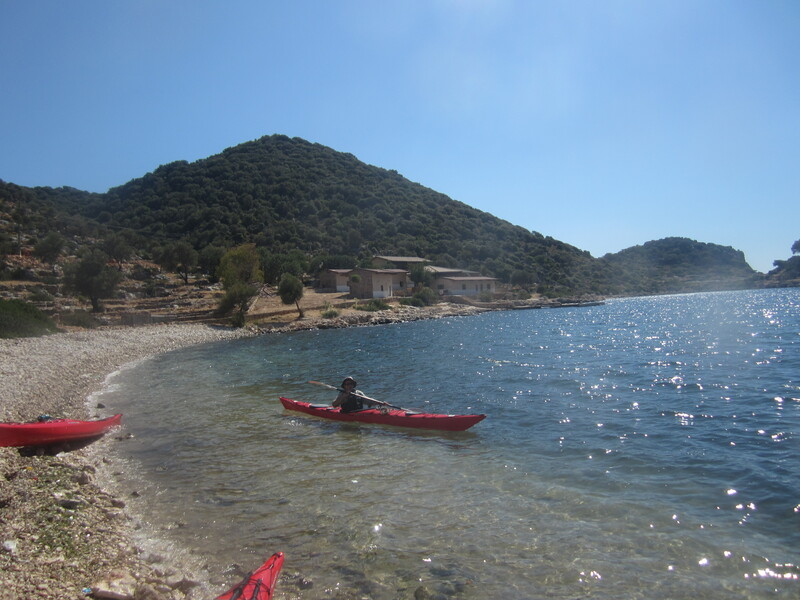 We paddled on to Andriake Beach for lunch where Hugh successfully pursued his desire for a fish sandwich and we had a couple of beers. 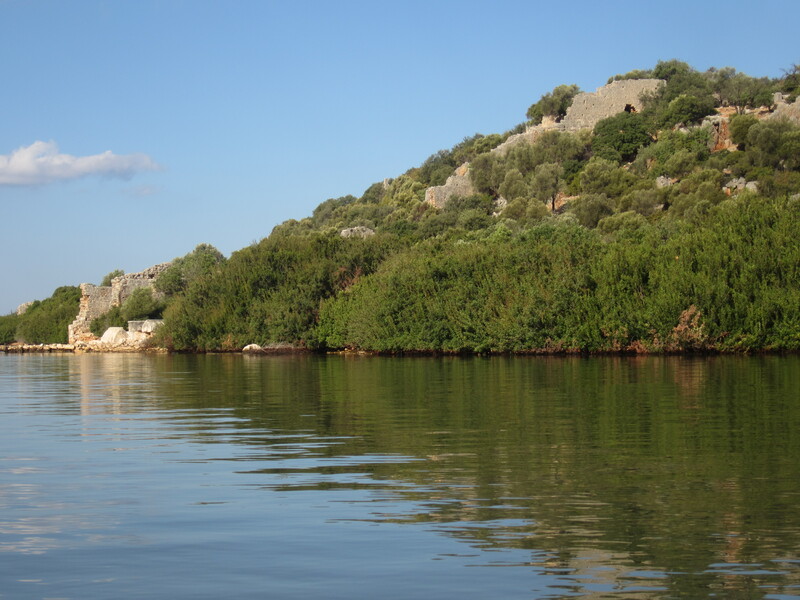 Andriake is an important historic port with ancient temples and a huge intact grain warehouse built by Herod. It is also the port for Myre, the home town of Father Xmas (aka St Nicholas). We really ought to go back at some time to see it. 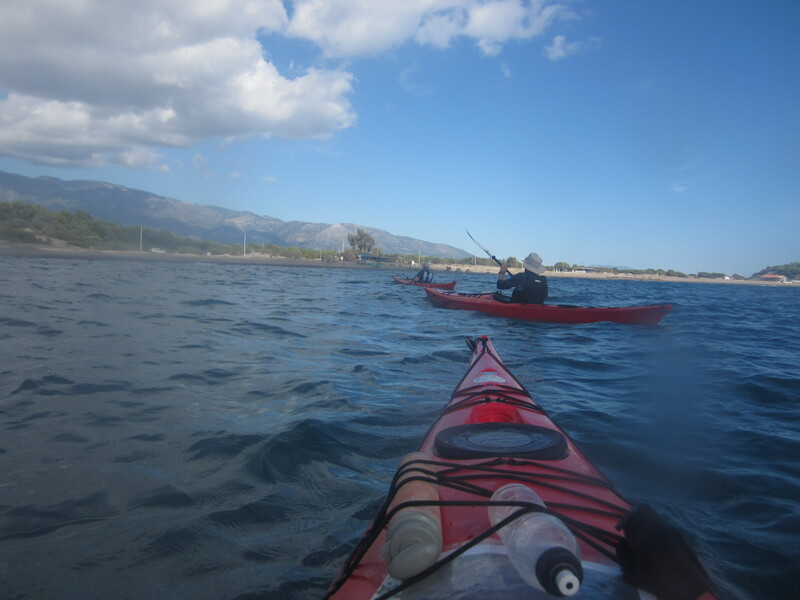 Typically during our prolonged lunch break the wind changed direction and grew in strength and the final leg from Andriake to Sukluku was something of a challenge. However we were there is good time for our 4pm transfer. 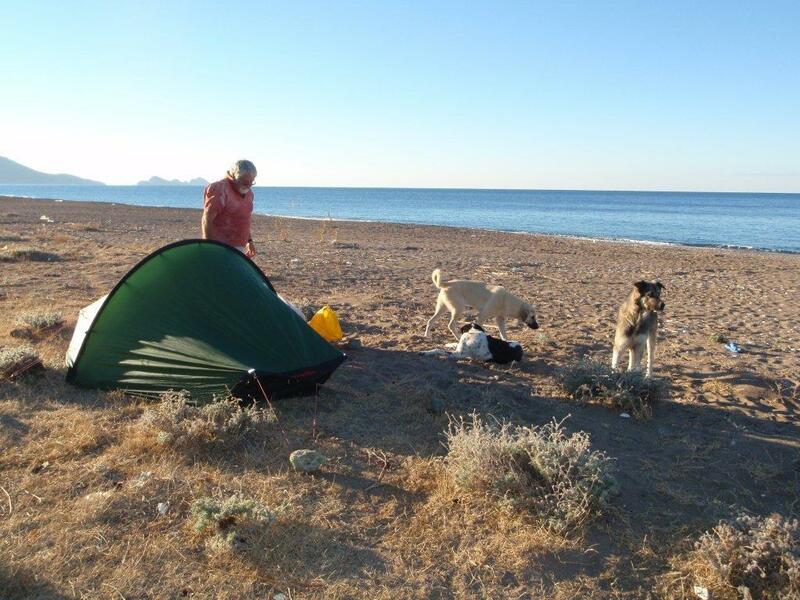 After a tortuous journey through urban/rural sprawl we arrived at a stony beach near Mavikent fringed by a couple of miles of shacks. Because it was growing dark we had little option but to camp in the rather dirty surroundings using rocks to secure the tents. However there was enough wood on the beach to have a good fire. The morning was lovely. 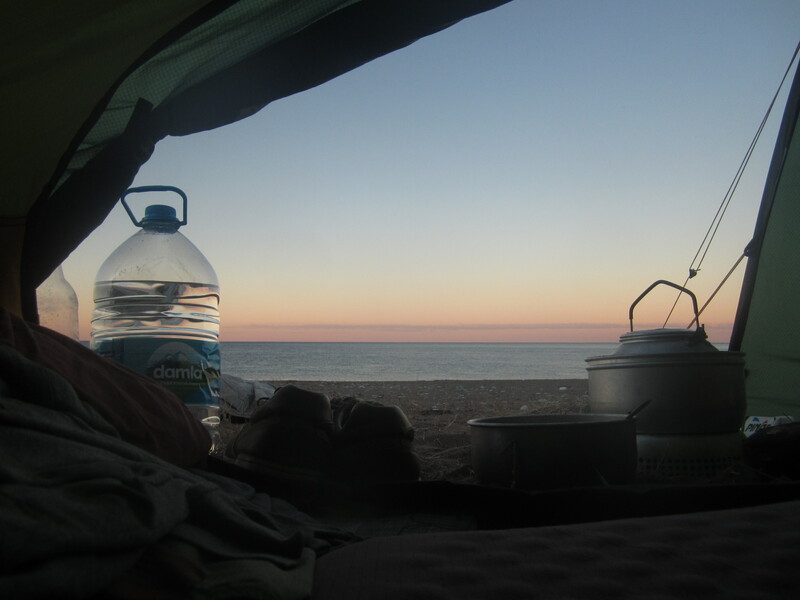 Beach camping offers fantastic views. 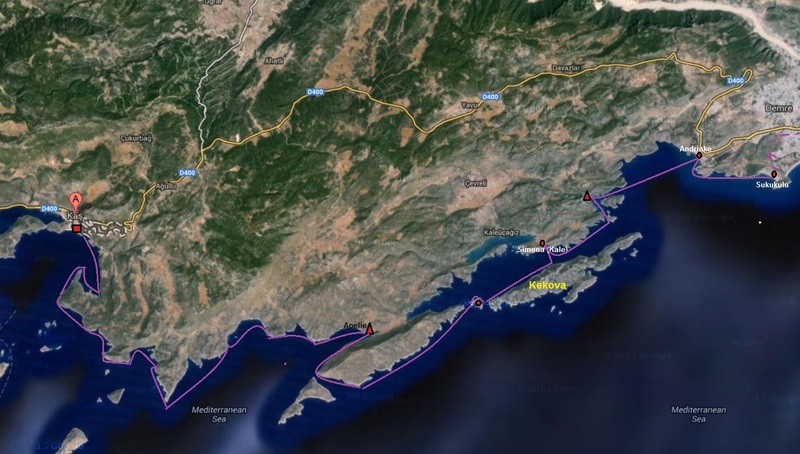 The crux of the trip was Cape Chalidon which threatened to be impassable in windy weather and we had had a lot of that. A deadline of 2pm was set as, at that time, the wind turns and blows around Force 4 from the south. The light wind was at our backs as we pushed on to the Cape. 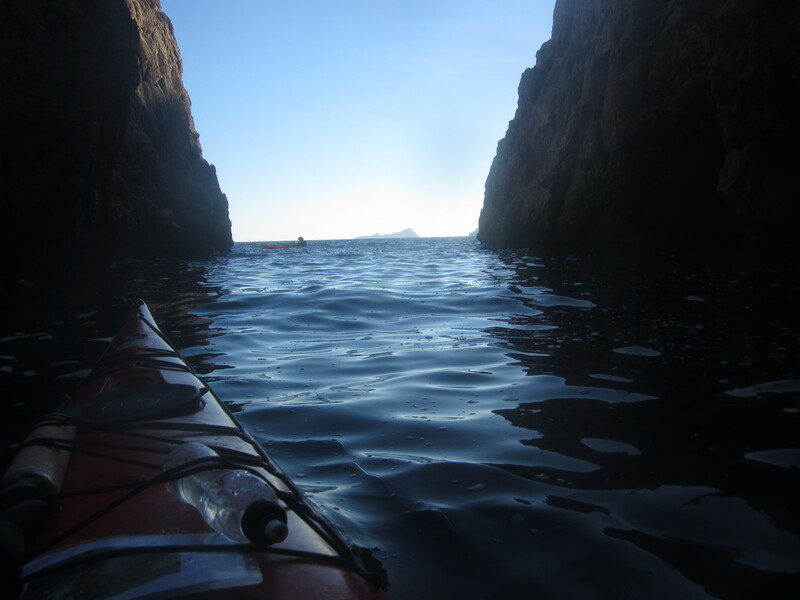 As we came close it was clear from the surface water and reflected light that it was not as calm round the corner. Even then the wind strength and swell size was far bigger than expected. A really tough 90 minutes ensued until we found a beach to rest up on. We had been recommended the island of Solu Ada as a potential camp site and after a prolonged break this seemed a good target. Perhaps it should be mentioned that the recommendation came from someone who, we later found out, had been stuck there for 3 days! As we emerged from the shelter we were amazed to find that the wind had turned 180 degrees and was now blowing Force 3/4 from the south. This made for a very wet crossing. 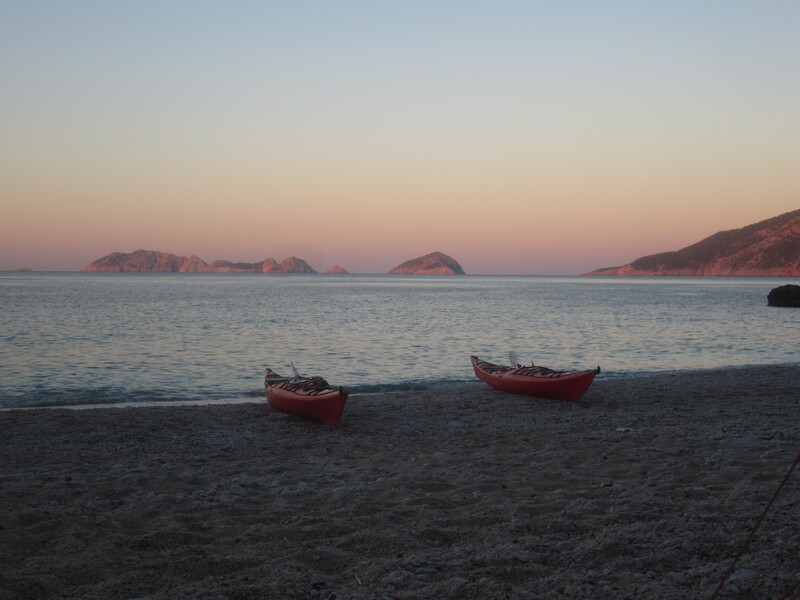 There was mutual amazement from the 4 lads camping on the beach, who struggled to comprehend how 3 middle aged men could paddle such small craft to the island with all the necessary gear, and ourselves who had assumed that anybody there would have had a boat of some sort to get off. Still there was no going back so we set off to pitch our tents only to be informed that a group of four goats liked to shower boulders on to the beach. The island itself had a high ridge of sandy bouldery material running its length. 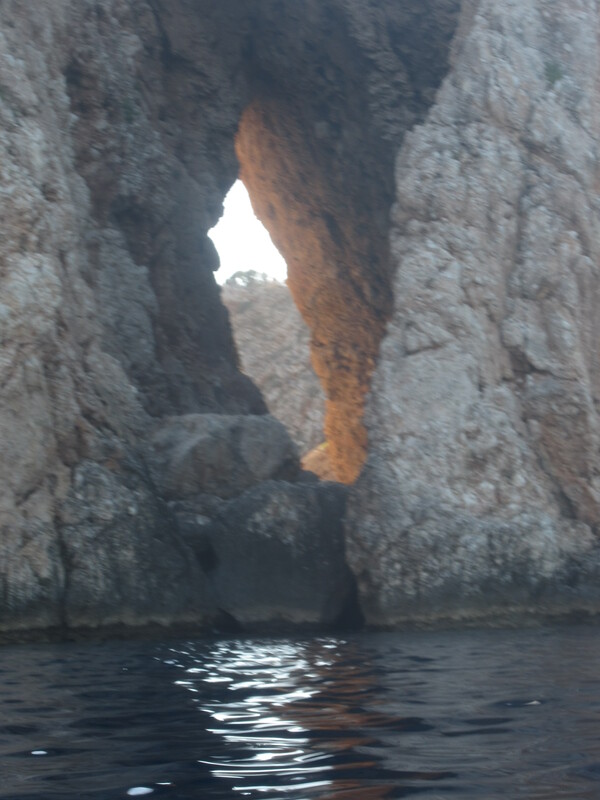 There is an inaccessible spring located just beneath the ridge and the island is punctured by a tunnel. 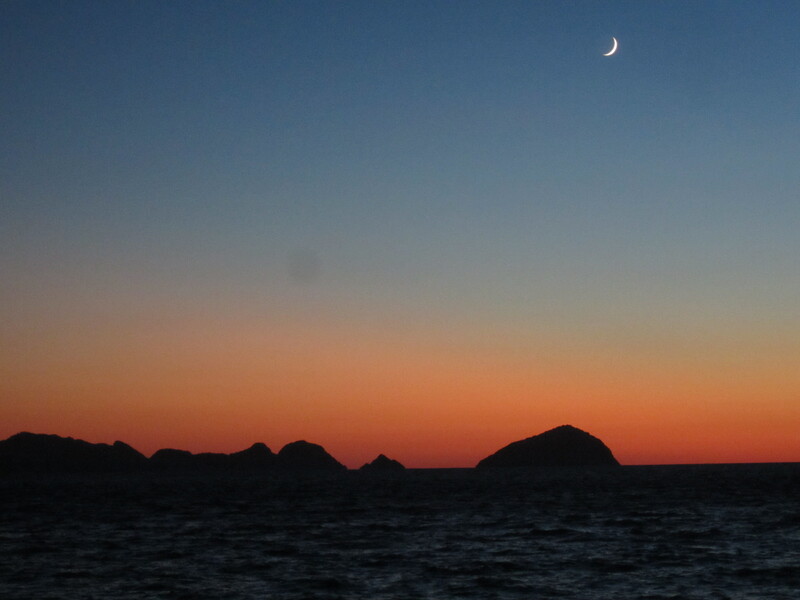 We were treated to the most wonderful of sunsets and a glorious sunrise. 7 am was celebrated by a boulder shower which luckily avoided all the tents. A leisurely breakfast was then interrupted by a tourist boat on a dawn cruise. 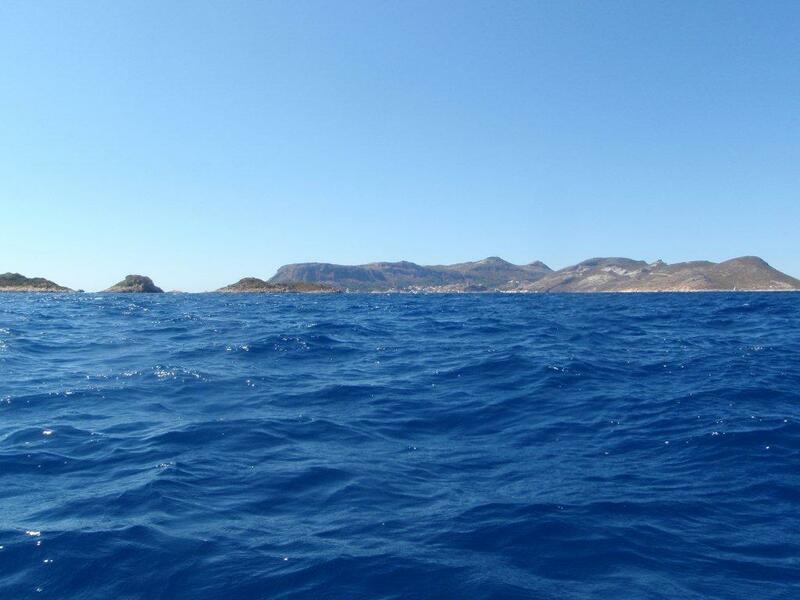 A chat with the captain suggested the other side of the island was not experiencing the calm of our side. So it proved as we pushed through the tunnel into a windy turbulent sea. 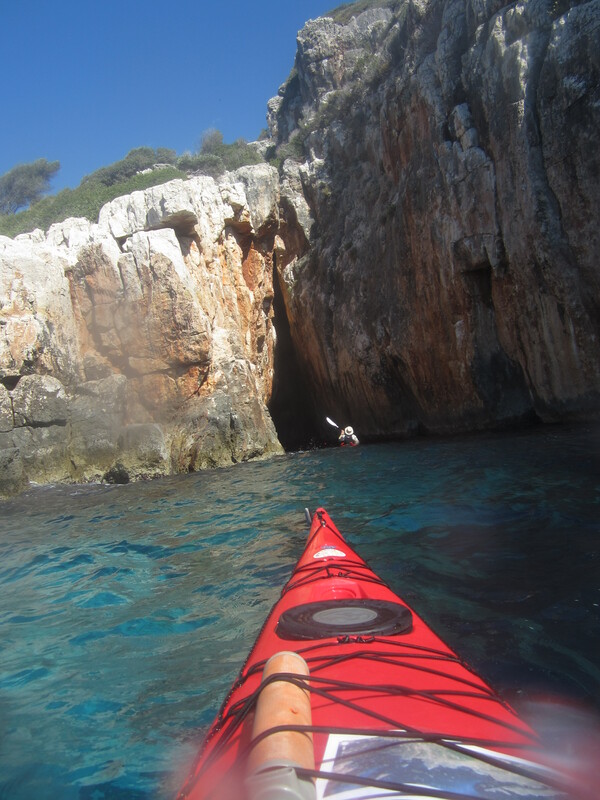 The next couple of hours was the usual mix of wonderful views, caves and cliff scenery. 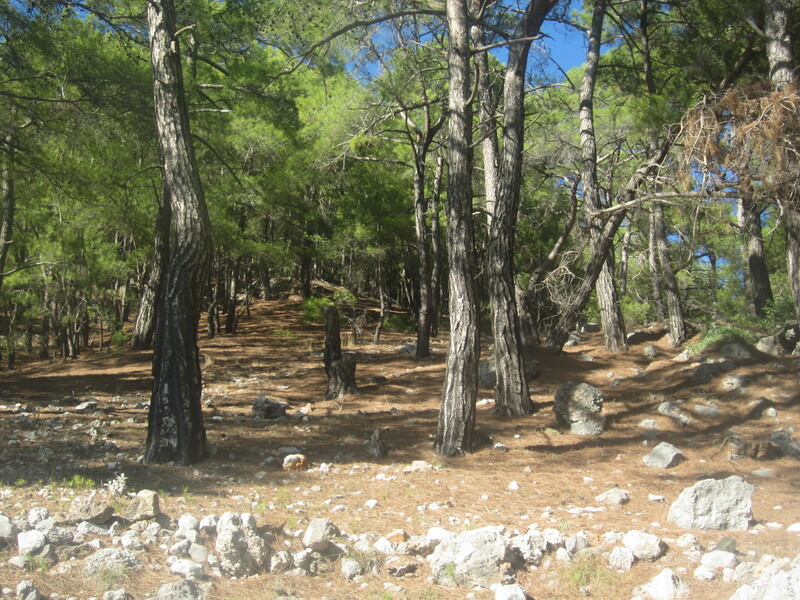 Our lunch beach was backed by a lovely pine forest, heavily scented. 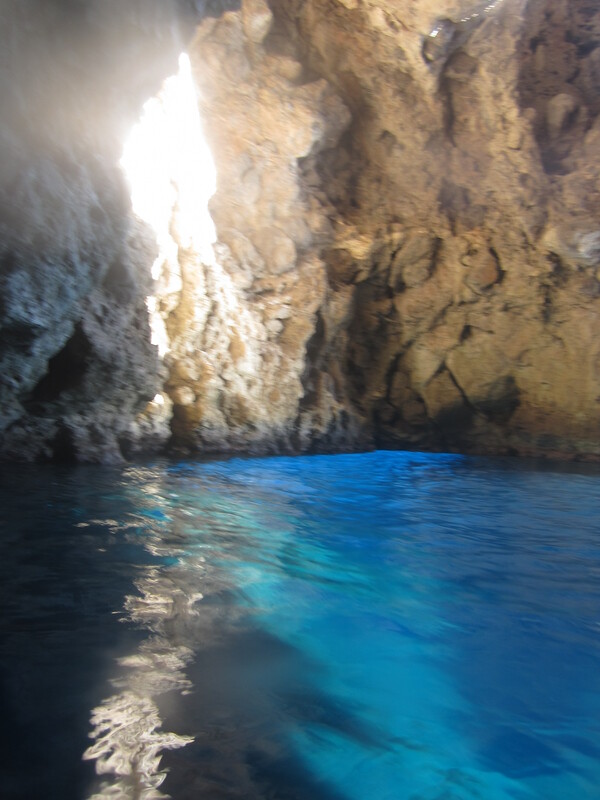 Later we came across the loveliest cave where a hole in the scenery allowed the sunshine through and turned the water the deepest of blues. 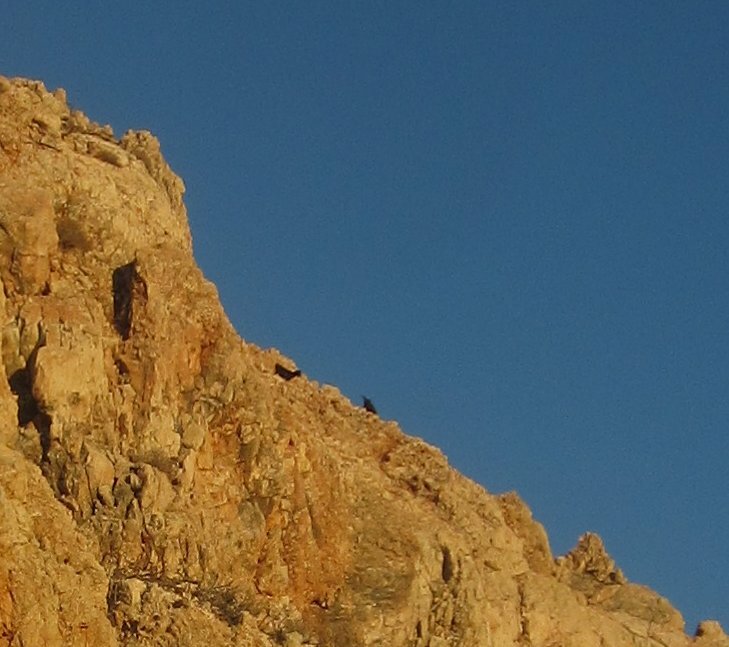 Landing places were rare and the search for a potential camp site always a feature of late afternoon. Close examination of the Google Map suggested a potential site in an inlet and so it proved; a perfect clean beach backed by flat ground and a pine forest. We pulled up delighted. From a well hidden building a figure emerged. The only English he had seemed to be Problem. Problem, Problem he exclaimed repeatedly as we explained it was getting very late. Eventually we took the hint; this perfection was obtained by keeping all tourists out. 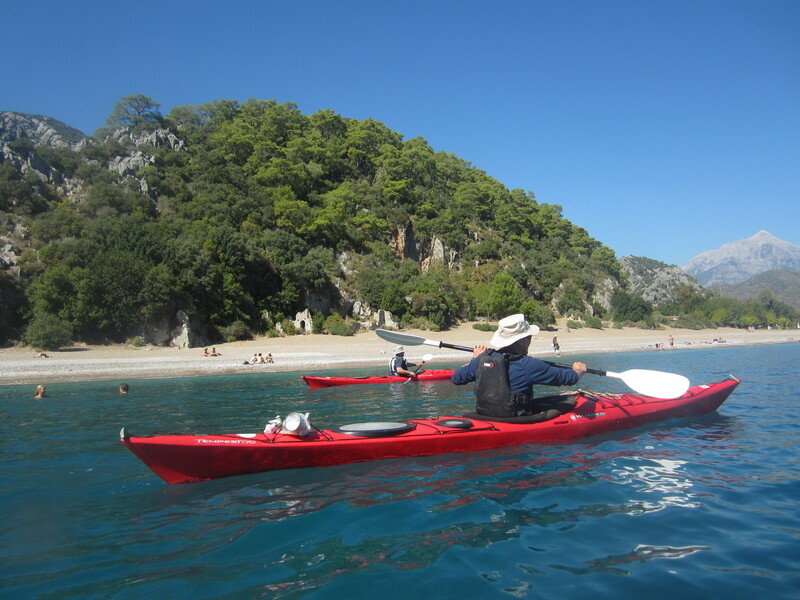 We then pushed on to the next inlet which was probably the dirtiest place in Turkey. Still we could land and there was flat ground once the broken glass and rubbish had been cleared. There was also wood for a fire. In the dark as we settled down to cook around the fire our attention was caught by a growling/snuffling noise and movement in the dark. The torches caught something large in the undergrowth/trees which we were unable to identify. Anatolian Bear?? Inevitably the beast returned and delayed torch work revealed for a second a large wild boar plus piglet. Much less worrying. 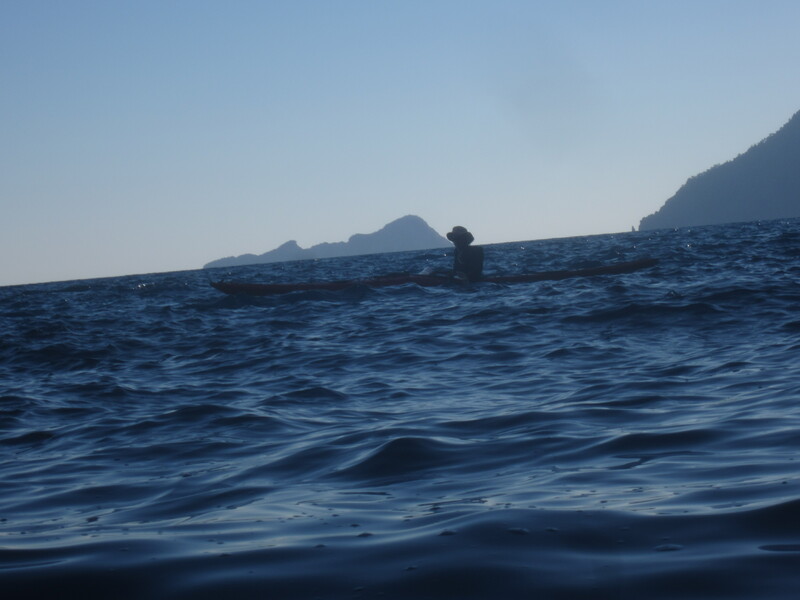 The following morning, for the first time on the trip was free of wind and we had a wonderful paddle on calm water in warm sunshine . 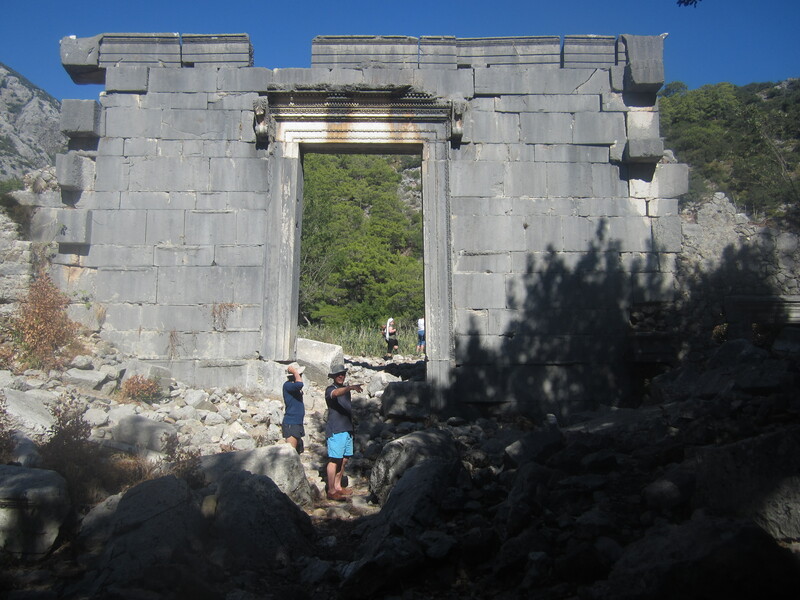 Our first objective was the ancient city of Olympos. 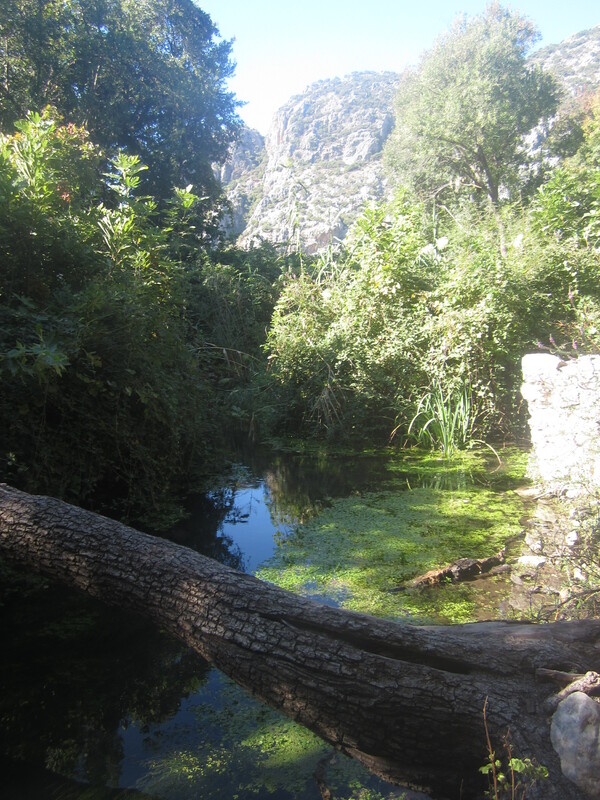 This extraordinary place had been completely covered in undergrowth until twenty years ago. It is now gradually being uncovered with temples, early Christian churches, theatres, bath houses, etc etc gradually being revealed. 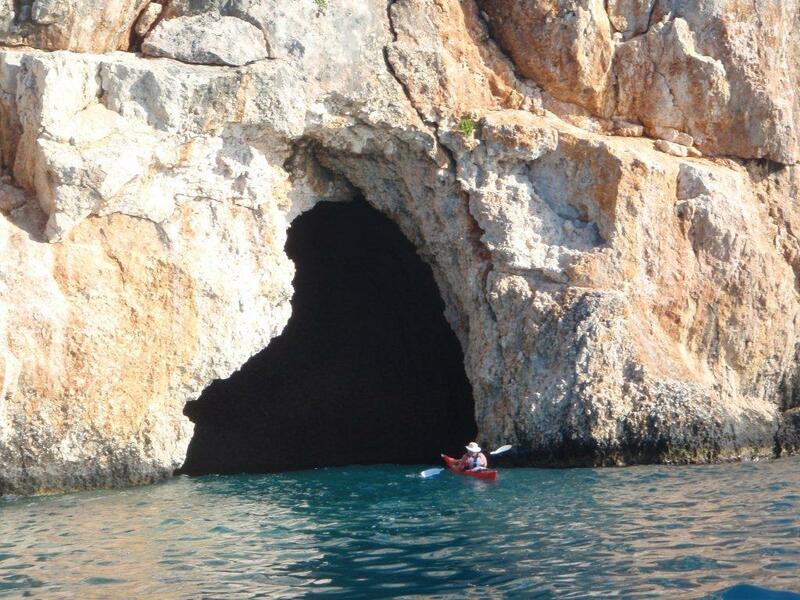 The casual attitude to artefacts three thousand years old still surprises and is a big plus to the things you expect on a kayaking trip to Turkey; spectacular scenery, sun and warm water. Our final hop took us along the lovely beach to a restaurant and our pick up spot. 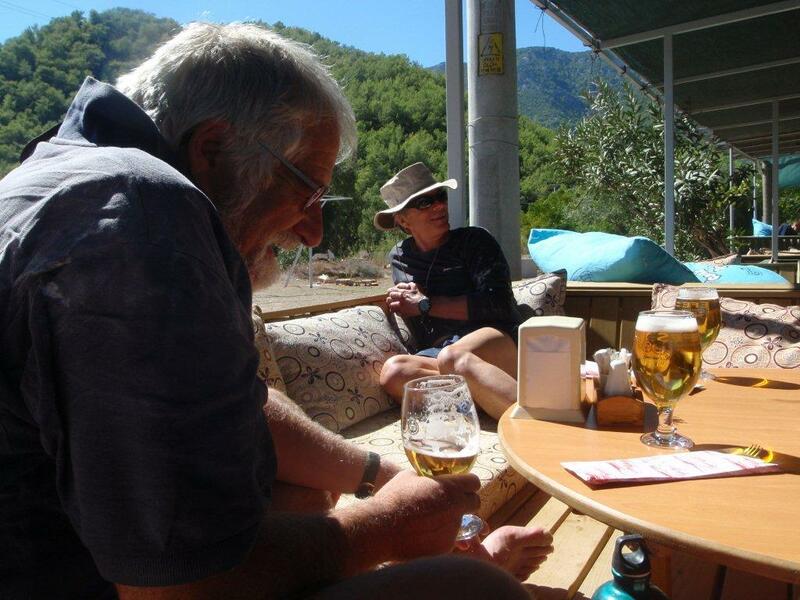 The 4.5 hour journey back to Dalaman suggests that, at best, there is only one more expedition before returning to previous routes. The quality of past experiences, however, makes that a real possibility. The cost worked out at £735 for absolutely everything including airport parking, meals, drink, kayak hire, accommodation etc etc. Conditions were not perfect this time out, but the water is warm so that even our day1 launch problems could be overcome with smiles. Again the trip is thoroughly recommended.